Health and beauty center Mirabilis is a perfect destination for those, that need to take a moment to relax. 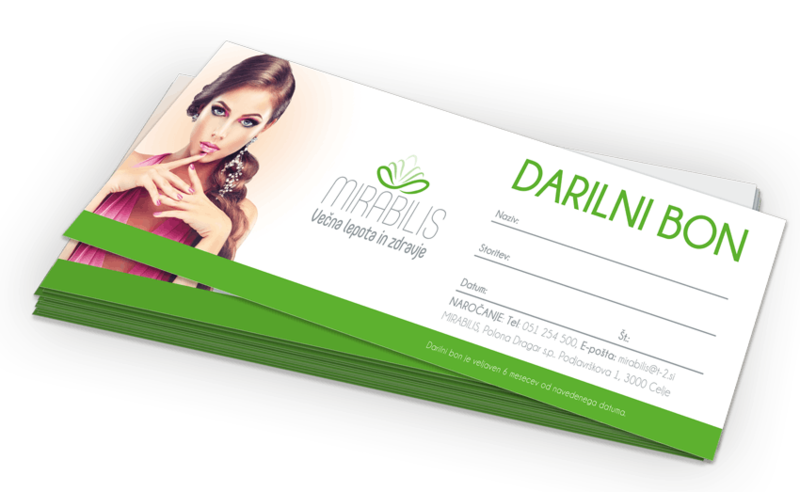 As a part of their corporate image, we defined primary colors and typography, designed flyers and gift vouchers. In addition, window graphic were added to decorate the exterior of the beauty center.